Once only available at the "THE CHiRAL NIGHT -Dive into DMMd- V1.1/V2.0" live concerts! 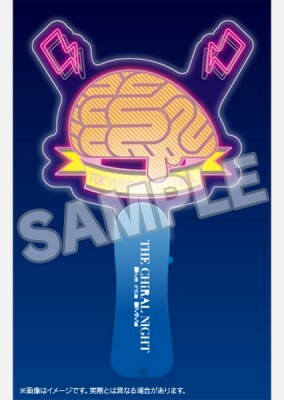 This light-up sign was especially made for the "THE CHiRAL NIGHT -Dive into DMMd- V1.1/V2.0" live concerts held at Tokyo Dome city Hall on July 6-7, 2013. This light-up sign features flashing lights. Batteries can be changed. First released at "THE CHiRAL NIGHT -Dive into DMMd-" V1.1/V2.0 live concert, 7/6/2013.